Find an inspection center to schedule an annual vehicle inspection. Inspection requirements vary by city—get the details about Bellingham below. 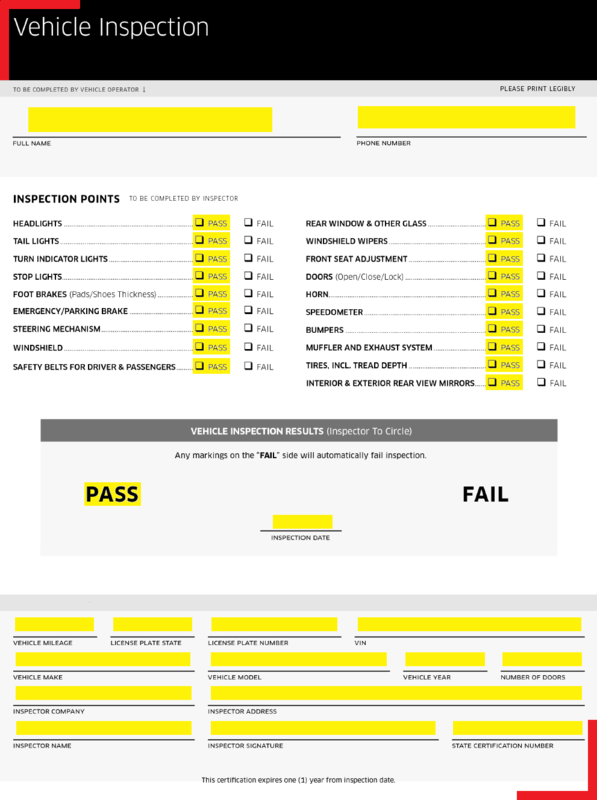 In Bellingham, all partners must pass a vehicle inspection before taking their first trip. This is under $30 at some locations and takes less than 30 minutes. Uber partners with Firestone and Elliot Tire + Service Center to offer discounts on inspections. You can get your own inspection done at any ASE certified mechanic, but we can't guarantee the price at other locations.